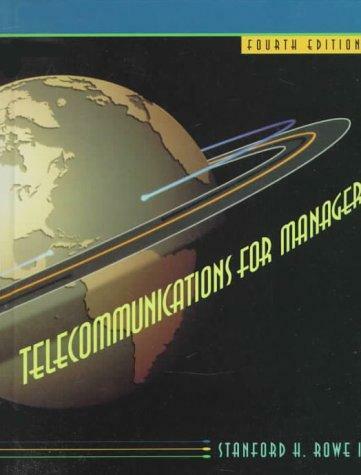 245 1 0 %a Telecommunications for managers / %c Stanford H. Rowe. 260 %a Upper Saddle River : %b Prentice Hall, %c 1999. 300 %a XXV, 705 s. : %b fot., il. ; %c 24 cm.